Wristwatches appeal to people for a variety of reasons. One of those reasons is that a well-designed watch is the perfect expression of both form and function. The trouble is that when you want a different look you have to get a different watch. Before long, you end up with a drawer full. Don’t get us wrong, we are not saying that that is a bad thing. 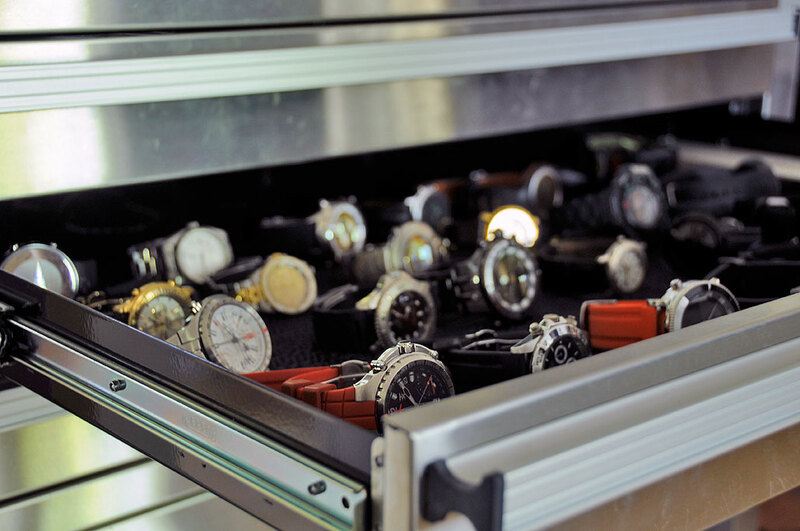 However, no matter how many watches one has one can only wear one at a time. When the 6th-generation touchscreen iPod nano came out, more than a few folks immediately saw its potential as a really cool wristwatch. The first one to do something about it was Scott Wilson. He proposed a project on KickStarter and got a phenomenal response. Scott raised $1 million (way more than he had requested) in record time and created the awesome LunaTik. We took a FirstLook at the LunaTik last year and came away impressed. The LunaTik case is made from milled aluminum, has a soft silicone band, and complemented the look of the nano perfectly. The idea was quickly copied by others and a whole new iPod accessory category was born. The “nano-as-watch” concept was not lost on the folks in Cupertino. Apple, in their last nano firmware update, dropped eighteen new clock faces on users. It is now possible to rock an analog face for a formal event, go retro with a nixie tube face, or show your whimsical side with Mickey Mouse or Kermit the Frog, all with the swipe of the finger. Clearly creating new looks are possible. If Apple would give developers the hooks to upload new watch faces and/or functions to the iPod nano, just imagine all the cool stuff folks like Bill and Steve of Emerald Sequioa would make for it! What about having thousands of watch faces to choose from instantly? How about if the nano will cycle through the different faces automatically? That is a game changer for watch-lovers!!! As we are just wishing for ponies, then we would love it if Apple, instead of winding down the iPod line, would upgrade the nano to be a remote extension of the iPhone. The smaller screen is a nice discrete way to access bits of info (how many new emails, any new text messages, etc) without having to pull out the iPhone. It may just be wishful thinking, but hey…stranger things have happened. Update (3/9/2015): Hey Apple…. it took you guys a few years, but we see that you took our suggestion above and tethered the iWatch to the iPhone 🙂 Nice!